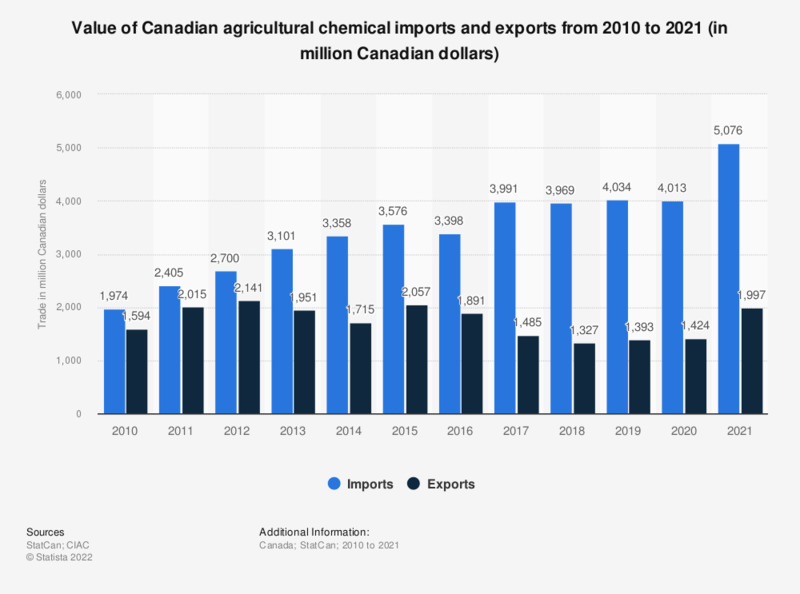 This statistic shows the value of the imports and exports of the Canadian agricultural chemical sector from 2003 to 2017. In 2017, there were 4 billion Canadian dollars worth of imports, and 1.5 billion Canadian dollars worth of exports. This includes pesticides, fertilizers, and other agricultural chemicals. * Added from the 2014 Statistical Review.